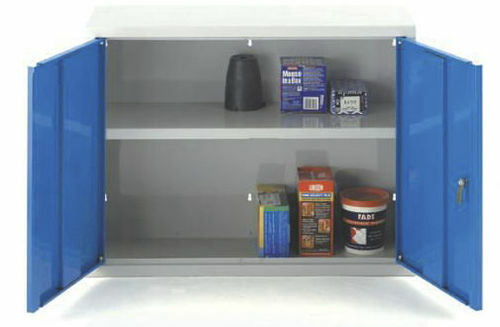 Heavy duty wall cupboards manufactured from 1mm steel sheet, with high quality grey epoxy cabinet finish and a choice of cabinet door colours. 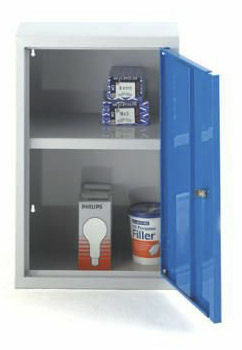 Standard H x D: 600 x 300mm with 1 fixed shelf in all cabinets. 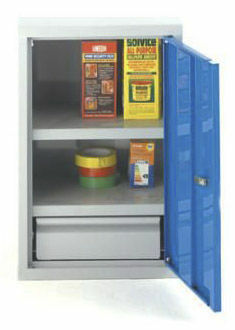 400 and 500mm width units have single lockable door. 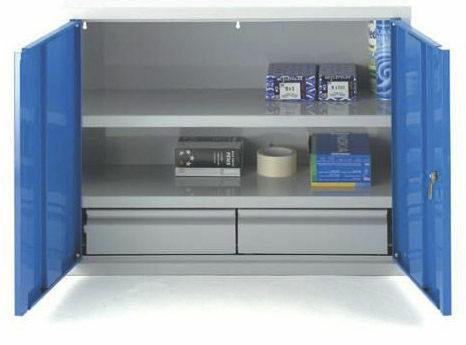 800 and 1000mm width units have 2 lockable doors. (400 and 500mm single drawer, 800mm 2 drawers). Fixing holes provided (no fixings supplied).